"The Funeral of Shelley" by Louis Éduard Fournier. E.J. 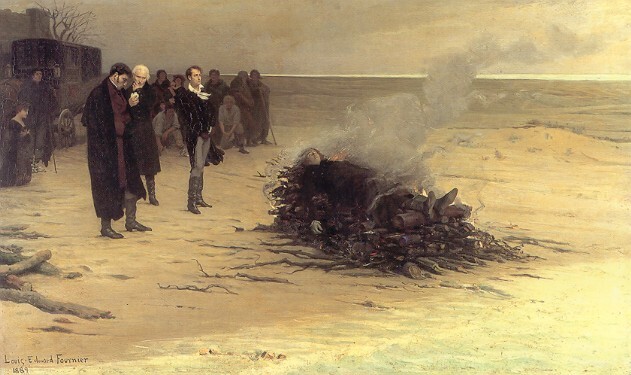 Trelawny, Leigh Hunt and Lord Byron watch the burning of Shelley's body. In reality Byron had left the scene before the burning took place.